Happy Halloween! As a child, Halloween night is always an exciting time. All of the preparation, from choosing a costume and setting up the festive decorations to carving a face on your pumpkin, leads up to that one night. And when it comes, we can't wait for the school bell to ring and for classes to end so we may finally dress up and embark on our quest to trick or treat throughout the neighborhood! 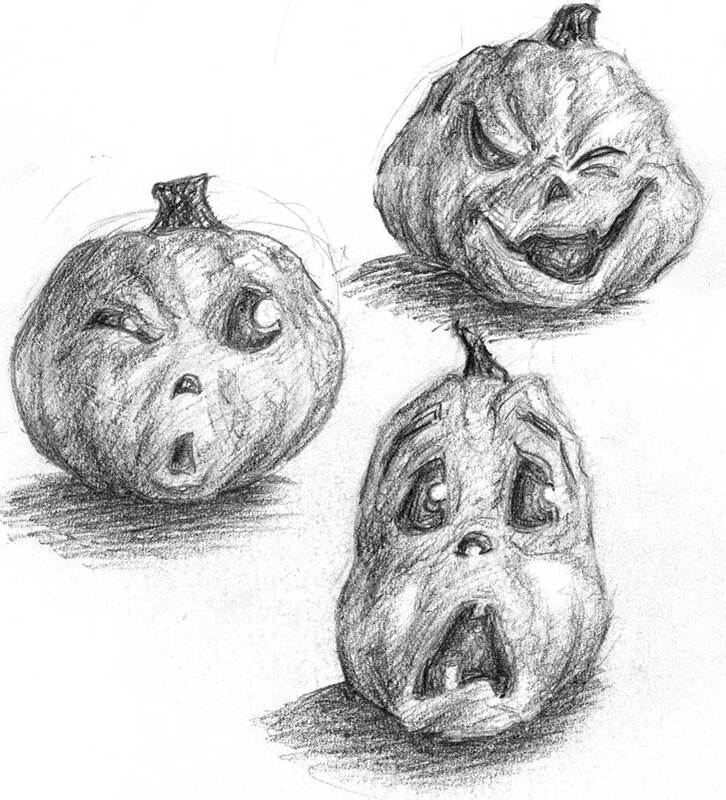 As an artist, I was always tried to think of new, creative faces to carve on my next Halloween pumpkin. Once my designs were ready, my father and I would lay out the newspaper, gather the carving tools, and begin the facelift. Looking back, whether it's carving out the pumpkin or trick or treating, Halloween can be quite the bonding experience between parents and children. Hopefully the snow won't dampen the festivities too much up here in the northeast. So, for all those kids young and old alike, be safe, have a fun time, and make those costumes good!